Bl. 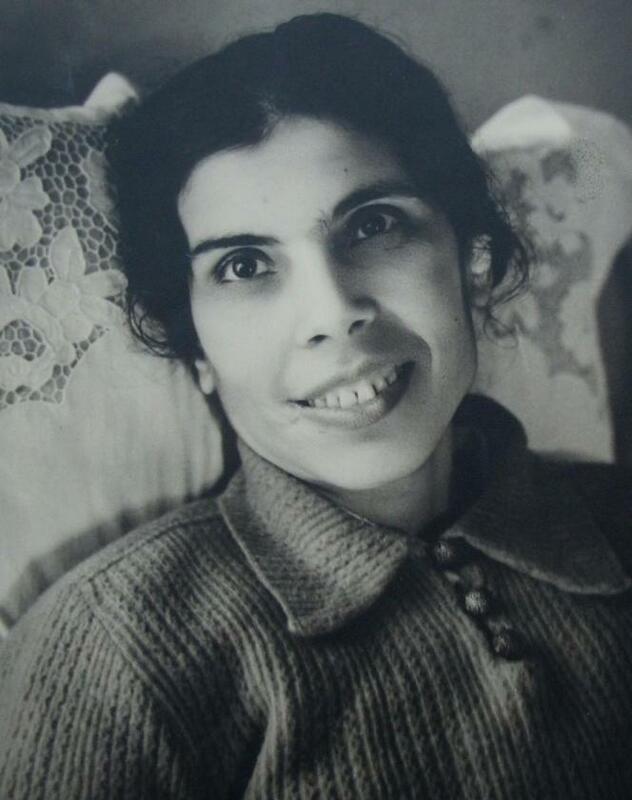 Alexandrina da Costa (1904-1955) was a mystic and victim soul who lived in Balasar, Portugal. On Holy Saturday of 1918, while Alexandrina, her sister Deolinda and a young apprentice were busily sewing, three men violently entered their home and attempted to sexually violate them. To preserve her purity, Alexandrina jumped from a window, falling four metres to the ground. Her injuries were numerous, and the doctors diagnosed her condition as "irreversible": it was predicted the partial paralysis that she suffered would only get worse. Until age nineteen Alexandrina was still able to "drag herself" to church where, hunched over, she would remain in prayer, to the great amazement and edification of her fellow parishioners. 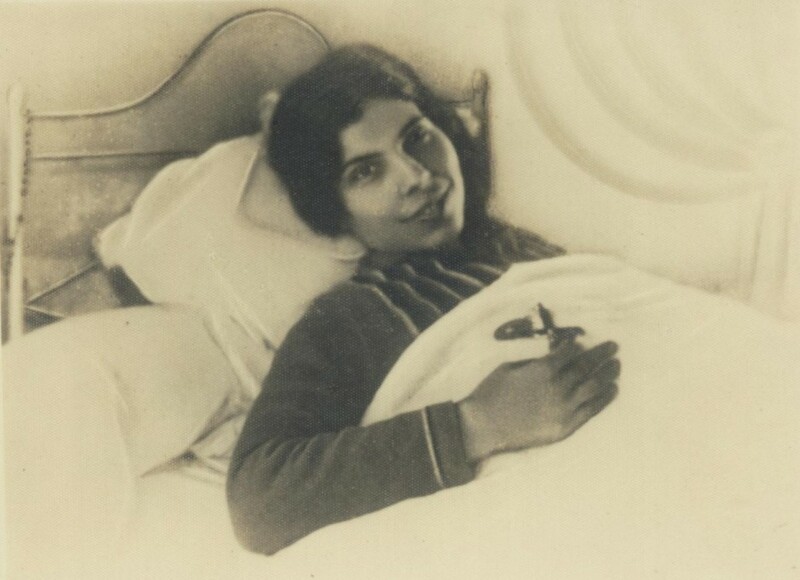 With her paralysis and pain worsening however, she was eventually forced to remain in bed, and from April 14, 1925 until her death – that is approximately 30 years - she would remain bedridden and completely paralyzed. While bedridden she began to receive extraordinary mystical graces, and she was eventually called to be a victim soul, that is, to suffer in union with Jesus for the conversion of sinners. 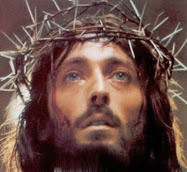 Thus on Thursday nights into Friday afternoon, the Passion of Jesus was mystically re-lived each week in and through her, for the conversion of souls. On March 27, 1942 in a blaze of agony and adoring love, Alexandrina cried out to Jesus in the tabernacle of the nearby church, "Oh my Eucharistic Love, I cannot live without you! Oh Jesus, transform me into your Eucharist! Mother, my dearest Mother, I wish to be of Jesus, I wish to be entirely yours!" “Oh Jesus, my love, do not abandon the one who loves you so much! Oh days which never end! Oh Heaven which never approaches!" Turning to her relatives she groaned, "When you hear the bells sound for my death, go down on your knees, pray and thank Jesus and Our Lady for coming to take me." Initially, her desire for food and drink was very strong On 24 May, feast of Our Lady Help of Christians, after almost two months of absolute fasting "with a burning thirst and a longing for food", Alexandrina cried out in anguish, "I sigh, I die, I long to satisfy my soul with the food of Paradise!" Not everyone, however, treated Alexandrina with the same courtesy. Doubts and suspicions about her fast circulated; some openly accused her sister Deolinda and her mother of perpetrating a monstrous fraud. These accusations, and the lack of charity by people who knew not the facts caused much sorrow for Alexandrina and her family. Finally, her friends appealed to the medical authorities to intervene and establish the authenticity of the prodigy once and for all. Alexandrina vividly describes all that followed. She wrote on 27 May 1943: "In order to satisfy the desires and the will of the Archbishop, I subjected myself once more to a medical examination. 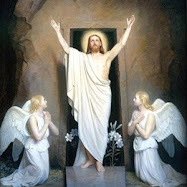 When they told me about this, a new suffering took possession of my spirit, but seeing in everything the holy Will of God, I accepted, as always through obedience. When they told me the day on which the doctors would come, I prayed with great fervour to Our Lady to give me the necessary composure to bear every¬thing with courage and resignation for Jesus and for souls. "On the appointed day, the doctor in attendance came to our house with Dr Enrico Gomes di Araujo and Dr Carlo Lima. Fortunately I was calm and serene; God had heard my prayer. One of the doctors asked me if I suffered much and for whom I offered my sufferings. He also asked whether I suffered willingly and if I would be happy if God released me from my sorrows. I replied that, in truth, I suffered much and that I offered everything for the love of God and for the conversion of sinners. "The doctors then began the examination which I bore with good disposition. At the end, seeing that I was in no condition to make a journey, they decided to call two nuns to verify the truth of my fast. After they left, I remained waiting for their decision. On June 4, my confessor came to give me Communion, accompanied by my doctor, who afterwards explained that I was being given the opportunity to enter a hospital in Oporto to have the fast medically certified. I would be isolated for a month and under constant observation. I immediately said 'No' - but at once I was sorry, thinking of the obedience lowed the Arch¬bishop and the difficult situation of my spiritual director, my doctor and my relatives and friends. So I accepted the proposal, subject to three conditions - I would be able to receive Holy Communion every day, I would be accompanied by my sister, and I would not be subjected to any more medical examinations because I was only entering the hospital for observation. "I embraced my family and friends and only Jesus knew the sorrow it cost me to separate myself from them. I looked only into his Sacred Heart and the Immaculate Heart of Mary, and implored them to give me courage and strength to bear this new affliction. As they levered my stretcher downstairs I murmured to my weeping family, 'Courage! 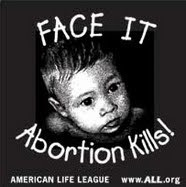 All for Jesus and for souls!' I was unable to say more. There was such a tightening of my heart that I felt it would be impossible to keep back the tears. Over a hundred people were surrounding the ambulance. "When we arrived at Matozinhos, the doctor raised the curtains so that I could look at the sea. An enormous silence filled my spirit, and observing the continuous movement of the waves, I asked Jesus to let my love beat like them without interruption." "After a long while we reached the hospital, but before they withdrew me from the ambulance, my face was covered with a cloth so that no one would recognise me. Going up the stairs was a martyrdom as they carried me up head down. When they reached a small room, my face was uncovered and I found myself surrounded by doctors and nurses. I was dismayed to discover that Deolinda had been allocated an adjoining room, contrary to what I had asked for. I did not know how I could manage without her experienced help and constant words of encouragement. Dr Araujo then arrived and began to give instructions to the nurses and assistants. "After he had gone, my own doctor remained for some while and two nurses charged with watching all my movements took up their station by my bed. When Dr Azevedo finally left that evening, I could not restrain my tears any longer. For a long time I wept, offering my tears and grief to Jesus. On seeing me so desolate, the nurses permitted Deolinda to remain near me that night, together with another nurse who learned from her the correct way of turning me. "The following day, a Friday, I began my true Calvary in that place. I had an ecstasy in the morning (1 have one every Friday), and the doctors and nurses gathered round my bed. Dr Azevedo was there and after writing the words of the ecstasy he passed them round for the other doctors to read. Nothing escaped their watchful gaze, not even the most insignificant detail which was commented on at once ....Dr Araujo was very strict, even to the point of harshness. He sternly forbade any nurse to question me in the slightest way. When one of the nurses tried to comfort Deolinda, who was weeping because of my condition, Dr Araujo immediately dismissed her and forbade her to enter my room again. "At these words, I opened my eyes and said, 'Doctor, I have had these crises at home.' He replied curtly, 'Miss, don't think that you have come here to fast.' I understood what he meant and felt deeply wounded. "Dr Araujo then tried to treat me with medication, but I would not consent. Several times the nurse came near me, convinced that I was dead. For five days I underwent a continuous agony, more in the spirit than in the body, because in those crises, they never permitted Deolinda to come near me, while at home two people were frequently necessary to sustain me. All were persuaded that the crises were due to a lack of nourishment and they kept me isolated, convinced that I would ultimately be compelled to ask for food, or else die of starvation. How they deceived themselves! They did Bot know that nourishment came to me from the Sacred Host which I received every day. "His kind words on my behalf did much to rally my flagging spirits. Five days later, the vomiting stopped com¬pletely, the colour reappeared on my face and my pulse became normal. "The strict surveillance by relays of doctors and nurses continued. Never for one moment was I left alone. The door of my room opened only to admit doctors and nurses. The improvement in my condition failed to convince any of them. They said it was impossible to live without nourishment and they tried to intimidate me, using soothing, persuasive tones to induce me to take food. But all their efforts were in vain. On one occasion I heard them affirm that my case could be one of hysteria, or a phenomenon still unknown to medical science. "During his frequent interrogations of me, he tried in every possible way to persuade me to take food and end the fast. A nurse even tried, on many occasions, to take away my Faith. She used interminable arguments to discourage me and to convince me that what was happening to me was not the work of God. Once Dr Araujo said to me with a malicious expression, 'You convince yourself, Miss, that God does not want you to suffer. If you wish to save souls, he can save them himself if it is true that he has the power to do so.' At other times when he questioned me, I seemed to see in front of me a wolf in sheep's clothing. I had the impression of seeing Satan himself trying to destroy my Faith and convince me that my immolation for souls was all an illusion. "On one occasion I replied to him, 'The things of God are so great, so great, and we are so small, so small. At least, I am, doctor.' He stiffened and then said scornfully, 'You are right, but I am far greater than you - and by how much!' So saying, he took himself off. "How far Dr Araujo was from comprehending this law of love for souls! If he knew the value of a soul, he would realise that everything is too small to save it. My stay in the hospital was a constant rain of humiliation and sacrifice. Oh, if I had known how to suffer for Jesus! To this end, I tumed to little Jacinta of Fatima whose picture I keep at the foot of my bed, and said to her, 'Dear Jacinta, you who were so small have proved all this. You know how hard it is.' Only through prayer and the prayers of many good souls was I able to gain the strength to climb this sorrowful Calvary with such a heavy cross. "One day, Dr Araujo sat down by my bed and tried to convince me that I was a victim of delusion. He began with an involved discourse on medicine and spoke of one of his professors to whom he had presented a long work, pains-takingly put together during many days and nights of study. The professor read the work and asked him if he was certain that it was accurate. The doctor replied 'yes' and cited the arguments supporting his case. As the conversation lengthened, I looked at him, pretending that I did not understand, but thinking, 'You go so far to fall so near?' Meanwhile, the doctor continued, 'I was convinced that I had done a good job, but the professor let me finish and then, with a few deft strokes, briefly demolished my case. My breath was taken away. I felt humiliated over so many lost hours and the realisation that my long study had collapsed in a few seconds.' I had already guessed what was coming and replied, smiling, 'But my case does not fall, doctor. A very good and wise man follows me and has studied me for years. [Dr Azevedo.] If the work is of God, there is nothing that can make it collapse.' Dr Araujo seemed rather embarrassed and said, 'We will see,' and retired in a hurry. "On the 17th and then on the 30th day of my stay at the hospital, my mother came to see me. I had such a desire to see her! But she stayed only a very short time and always under the watchful eye of the nurses who were keeping me under continual surveillance. When my mother wept, I had to smile and joke to conceal my sorrow. "The difficult days passed with the endless changing of nurses under the directions of the doctor. With some, who went beyond the limits of their duties and their rights, I suffered more than with others. After some weeks, the doctor began to allow me a little freedom and permitted my sister to spend some time near me, though without giving her permission to touch me. On the 21st day, he allowed the nuns of the hospital to make a brief visit to me. "While Deolinda and I were beginning to think of letting the family know of our approaching return to Balasar, an unexpected obstacle arose. One of the nurses charged with my surveillance had spoken of my case to a physician named Dr Alvaro. Not knowing anything about me, he expressed his immediate disbelief and affirmed that the nurses who were watching me must have been deceived. He added that he would only believe in my fast if it were testified to him by a nurse of his faith. "Dr Araujo was indignant because it put the seriousness of his study in doubt. He invited Dr Alvaro to send a nurse of his own choice and the latter selected one of his sisters. I was therefore asked to remain in the hospital for an additional period of observation. "The new test lasted ten days - and with what suspicion! When my sister, with Dr Alvaro's permission, entered my room every evening to turn me, the new nurse lit the light and stood beside her. As soon as Deolinda left, the nurse made a rigorous check to ascertain if Deolinda had con¬cealed something under the sheets. "Nor did they lack subterfuges to induce me to eat something which the assistant nurse always had with her. When she showed me some tasty morsels, I smiled without saying anything and when she offered them to me, I thanked her and still smiling, pretended not to understand her. Frequently, all my linen was taken away to be inspected. The nurse who assisted me during those last ten days became convinced of the reality of my fast and afterwards visited my home where she greeted me like a dear friend. "On 19 July 1943, the eve of my discharge, all the children of the hospital passed around my bed and I prayed with them. Later more than 1,500 people came and the authorities had to call the police to maintain order. One policeman limited himself to standing by my bed and saying continually to the crowd who pressed around, 'Pass along, pass along.' The doctor had to literally implore the crowd that pressed round the entrance to the hospital and in my room to move back so that I would not be suffocated. I remained humiliated, exhausted and full of self-contempt for the tears of the visitors and for the many kisses I received which I did not merit and did not want. "I kissed the doctor's hand gratefully and thanked him from my heart. I did this in all sincerity for I was deeply grateful to him for the seriousness with which he had treated my case." So ends Alexandrina's account of the medical investigation of her fast. The official report issued by Dr Araujo confirmed the prodigy as "scientifically inexplicable". The key sentence stated: "It is absolutely certain that during forty days of being bedridden in hospital, the sick woman did not eat or drink and we believe such phenomenon could have happened during the past months, perhaps the past 13 months leaving us perplexed." The report is signed Dr Gomez de Araujo of the Royal Academy of Medicine, Madrid, specialist in nervous diseases and arthritis. We the undersigned, Dr C. A. di Lima, Professor of the Faculty of Medicine of Oporto and Dr E. A. D. de Azevedo, doctor graduate of the same Faculty, testify that, having examined Alexandrina Maria da Costa, aged 39, born and resident at Balasar, of the district of Povoa de Varzim ... have confirmed her paralysis .... And we also testify that the bedridden woman, from 10 June to 20 July 1943 remained in the sector for infantile paralysis at the Hospital of Foce del Duro, under the direction of Dr Araujo and under the day and night surveillance by impartial persons desirous of discovering the truth of her fast. Her abstinence from solids and liquids was absolute during all that time. We testify also that she retained her weight, and her temperature, breathing, blood pressure, pulse and blood were normal while her mental faculties were constant and lucid and she had not, during these forty days, any natural necessities. "The examination of the blood, made three weeks after her arrival in the hospital, is attached to this certificate and from it one sees how, considering the aforesaid abstinence from solids and liquids, science naturally has no explanation. The laws of physiology and biochemistry cannot account for the survival of this sick woman for forty days of absolute fast in the hospital, more so in that she replied daily to many interrogations and sustained very many conversations, showing an excellent disposition and a perfect lucidity of spirit. As for the phenomena observed every Friday at about 3 p.m. (i.e. her ecstasies), we believe they belong to the mystical order .... For the sake of the truth, we have prepared this certificate which we sign. Oporto , 26 July 1943." "In returning to my friend and client (i.e. 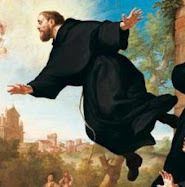 Fr Pinho) the copies of the reports concerning the singular case of Alexandrina Maria da Costa, I desire to thank him for the opportunity he has offered me of studying in minute detail this strange case .... It was above all as a doctor, specialist in nutrition, and not only as a Catholic, that I found that which had happened to the sick woman so interesting. I also attach great importance to his testimony (i.e. Fr Pinho's report on Alexandrina submitted some years earlier to the Archbishop of Braga), because an enlightened confessor and spiritual director is, perhaps, more competent than anyone else to determine if his subject is mentally normal or abnormal. "In my opinion, it is not possible to explain by purely scientific means, or better still, by medical means, that which has happened to Alexandrina da Costa. Nothing makes us believe, according to what one reads in the detailed reports of the doctors and the confessor, that it is simply a matter of hysteria, particularly in view of the long time in which the sick woman has passed, and is still passing, without taking the slightest nourishment. On the other hand, I am certain that it is not a matter of deception because the impartial commission which observed her for forty days and forty nights with rigorous vigilance, could verify that her abstinence from nourishment was total. "Now this abstinence from all food during such a long period of time is incompatible with life, and much less with the maintenance of normal temperature, respiration, pulse, blood pressure, etc .... Her intellectual life is intense, her relationships are perfect, her faculties and senses are retained in an absolute manner. . . . This extraordinary case, rather I would say exceptional case, can in no way be explained by purely natural means, or through scientific data. The inflammation of the spinal cord, which is most probably the cause of the paralysis, has nothing to do with her abstinence from food, being merely a parallel illness." This report was signed by Professor Ruj. Joao Marques, professor of medical science in Pernambuco and uni¬versity lecturer of the faculty of medicine, and also Professor Recife; professor of the branch of nutrition of the School of Social Service in Pernambuco and also the president of the Society of Gastroenterology and Nutrition in Pernambuco. There we have the certification and the verdict of medical science. But Alexandrina had a more enlightened explanation. She confided to her confessor that Our Lord had told her, "You are living by the Eucharist alone because I want to prove to the world the power of the Eucharist and the power of my life in souls." -“Alexandrina The Agony and the Glory” by Francis Johnston, Tan Books, 1979 -Availible from Tan Books here. -“Blessed Alexandrina A living miracle of the Eucharist” by Kevin Rowles, New Hope Publications, 2009 -Availible from New Hope publications here. 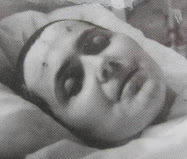 -For more information on Blessed Alexandrina da Costa, see my other article "Blessed Alexandrina da Costa -Mystic and Victim Soul"
So many signs, so many saints and yet so little faith. Let us learn to listen to our Lord and do His will. He speaks not only through His saints but directly to our harts and minds. Let's take a listen. and that I know the right way and have the courage and ability to take it. Blessed Alexandrina, please help all of us who struggle with gluttony and the desires for things of this world. Give us strength and show us the way. Blessed Alexandrina, It is God's will that I learn about you today from a driver who delivered goods to our house. Please pray for my children François and Maliesse and Alex, that the Lord Jesus protects them from harm and illnesses and show them the right and holy way. Please also pray for world peace and please pray for France. Thank you and Amen! Even Pope John Paul II has affirmed the truth that Alexandrina Da Costa lived for thirteen years on nothing but the daily reception of the Eucharist, which as we know, is a medical impossibility. He said these words on the Occasion of her beatification on 25 April 2004. He said, "Do you love me? ", Jesus asks Simon Peter, who replies: "Yes Lord, you know that I love you". The life of Blessed Alexandrina Maria da Costa can be summarized in this dialogue of love. Permeated and burning with this anxiety of love, she wished to deny nothing to her Saviour. With a strong will, she accepted everything to demonstrate her love for him. A "spouse of blood", she relived mystically Christ's passion and offered herself as a victim for sinners, receiving strength from the Eucharist: this became her only source of nourishment for the final 13 years of her life. With the example of Blessed Alexandrina, expressed in the trilogy "suffer, love, make reparation", Christians are able to discover the stimulus and motivation to make "noble" all that is painful and sad in life through the greatest evidence of love: sacrificing one's life for the beloved. Dear Blessed Alexandrina Da Costa, pray for me and my family. that I am able to return the love of Jesus to Him in the Eucharist. Pray that He grants me His Grace and I receive it. That I give myself to Him fully. Amen. 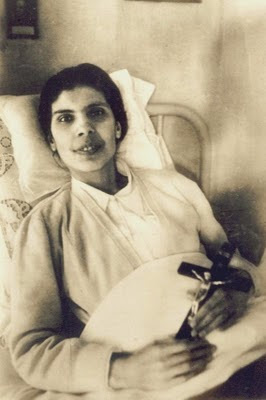 Blessed Alexandrina, my husband who was also paralyzed has gone on to be with our Lord. Please pray for our 3 sons that they be healed of mental and physical afflictions and fall deeply in love with our Savior Jesus.